The British Basketball Federation has hired Lisa Wainwright as the new governing body’s first chief executive. 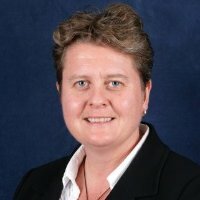 A former CEO of Volleyball England, Wainwright previously worked at both Sport England and England Netball in a variety of roles but will be tasked with shaping basketball’s revamped structure in co-operation with the three home nations – initially with an interim tag with Sport England providing funding for the role through to March 2017. Finding a performance director, exploiting the commercial opportunities for the sport, and overseeing what could be a contentious revision of the operating license for the British Basketball League. The appointment comes as it was revealed that chairman Nick Humby is stepping down from his position, having led British Basketball through an initial birth strategy to officially becoming a full member of FIBA. He will be replaced on a temporary basis by Bill McInnes but discussions are understood to be ongoing over whether the former Manchester United director remains on the board or in an advisory capacity. It leaves Wainwright with a remit to push the organisation forward, including putting in place a structure around the Great Britain national teams which – from 2017 onwards – will be expanded down to Under-16 level. “The BBF Board and in particular Nick, have worked hard to secure resources to bring in more people to support the delivery of the new strategy and support the teams to get them as best prepared as we can,” McInnes said.